Who are the most popular Amish fiction novelists? Why is Amish fiction so popular? Are Amish fiction books accurate? Do Amish read Amish fiction themselves? Who are the most popular Amish fiction authors? Best-selling and popular authors include Wanda Brunstetter, Cindy Woodsmall, Suzanne Woods Fisher, and of course, Beverly Lewis, whose 1997 novel The Shunning paved the way for the current Amish fiction boom. Why are Amish fiction books so popular? This question has multiple answers, but reasons include the books’ G-rated, wholesome nature, a public fascination with Amish culture, and storylines which appeal to an evangelical readership. Amish romance novels have enjoyed immense popularity. Some are more accurate and realistic than others. Valerie Weaver-Zercher says this was the most-often asked question while researching her Amish fiction study, Thrill of the Chaste. In her book, Weaver-Zercher lists common inaccuracies, including off-key depictions of excommunication and shunning, and unusual portrayals of day-to-day Amish behavior. However she also notes that authors she spoke with displayed a commitment to research and accuracy. An Amish reader suggested to her that while small inaccuracies were easy to fix, capturing authentic dialogue or a “feel” for the people was difficult. Some do. These include both youth and some adults in the community. Some bookstores in Amish communities carry Amish fiction novels, as does the Amish-frequented bookmobile in one large settlement. Others dislike the genre. Read more. Weaver-Zercher, Valerie. 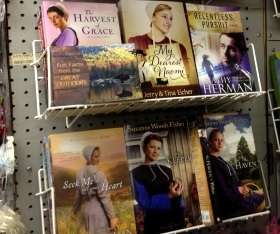 Thrill of the Chaste: The Allure of Amish Romance Novels. Baltimore: Johns Hopkins University Press, 2013. Weaver-Zercher, Valerie. “Bonnet Rippers: The Rise of the Amish Romance Novel.” Los Angeles Review of Books. Los Angeles Review of Books, 21 Mar. 2013. Web. Accessed 11 Feb. 2015. To Cite this Page: Wesner, Erik J. “Fiction.” Amish America. Erik Wesner, 11 Feb. 2015. Web. [Date Accessed]. 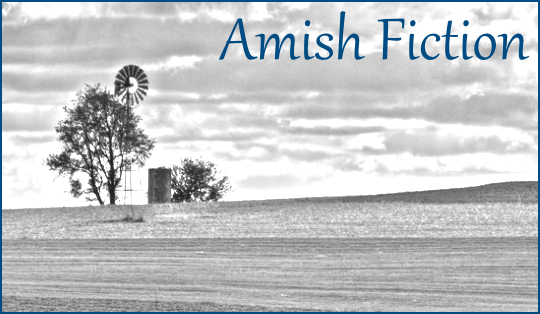 <http://amishamerica.com/fiction/>.